This wall has been driving me crazy since the day we moved in. It connects to our kitchen and living room, so it proves to be an awkward wall to decorate. Ten months later, I've finally gotten something on the wall. This project cost me only about $10.00 to make and is the perfect subtly to connecting the two rooms. You'll need: one or two bouquets of flowers, scissors, wax paper, book pages (I picked up some old, stained books from the thrift store), hot glue gun, masking tape. Begin by cutting the stems of the flowers and placing them between two sheets of wax paper. Store under a flat surface for one week, or until flowers are completely dried out. 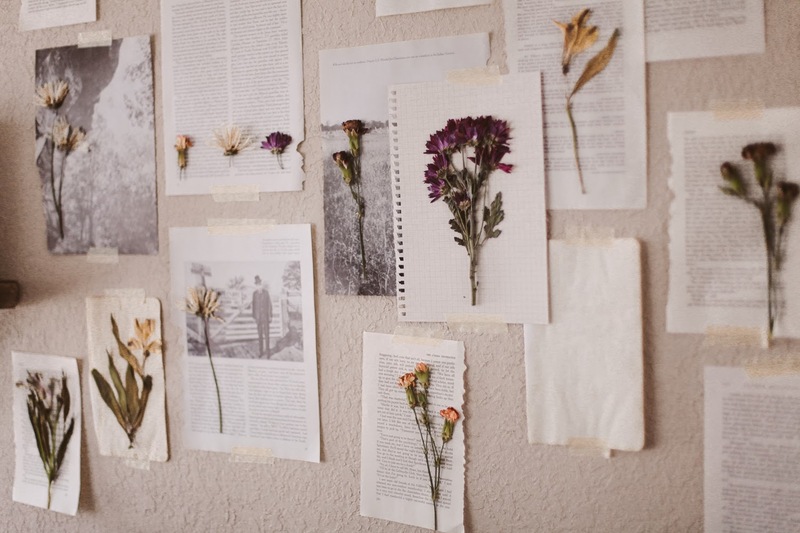 Next, hot glue bunches of flowers to ripped out book pages and make a collage on the wall. I attached mine to the wall with masking tape, but wooden push pins would be a great alternative. Since spring is still proving to be far away for us, filling this wall with flowers is the perfect dose of outdoors I need to get me through the rest of this winter madness. This is absolutely beautiful! I just put up a gallery wall, but I think a couple of these would be great additions. That's so pretty! And so crafty! I'm obsessed with this idea. It gives such a old encyclopedia/academic look to the walls without having to search for vintage prints or actual encyclopedias. Definitely definitely doing this. Oh that is a great idea. It's so simple and pretty! It looks so nice, wow. This is just too freaking cute - and I like that it is a DIY project that won't cost an arm and a leg. It looks lovely! 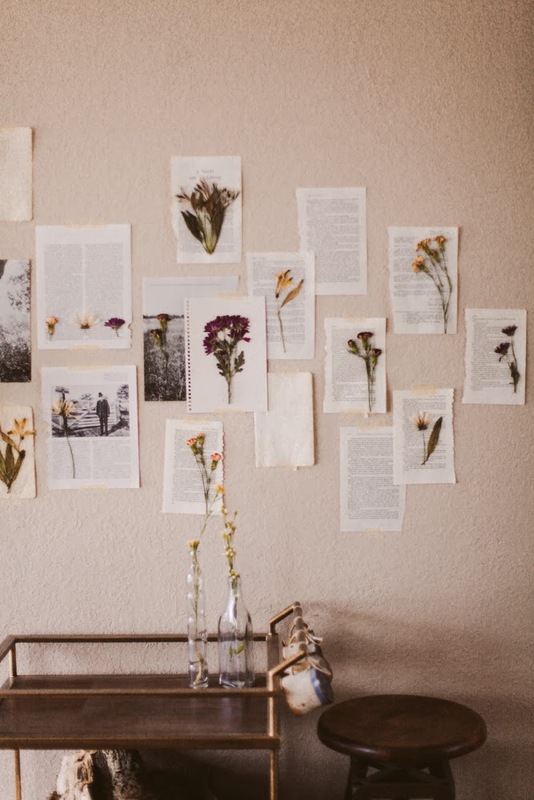 I have always loved pressed flowers, and this is a beautiful way to showcase them. This is simply stunning! with a bit of nostalgic touches that i totally love it! Beautiful. I absolutely love this. Gorgeous. Simple. I love this. Wow, that's actually such a great, yet beautiful idea! This is a really wonderful idea! I have to do this when I have more time on my hands. Would parchment paper work instead of wax paper? I absolutely love this! Something like this would look great in my dining room on an awkward wall that we have as well. Can't wait to try it out! Such a great idea! 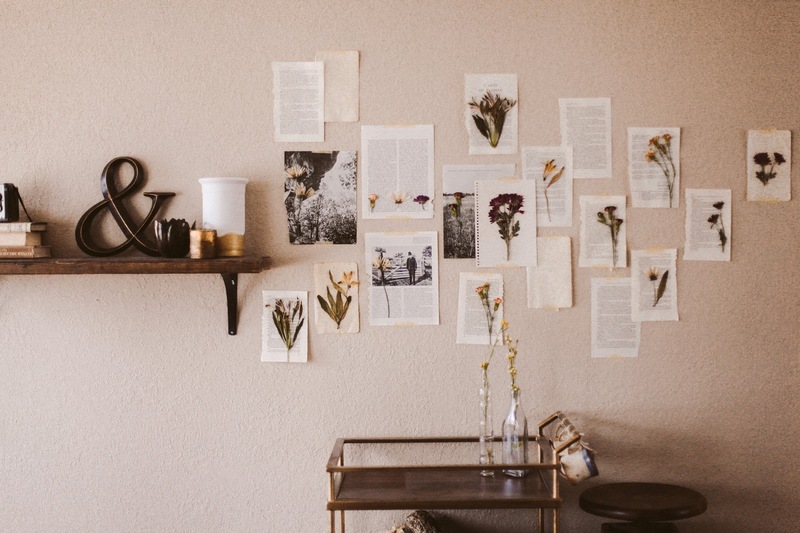 Your wall looks gorgeous! 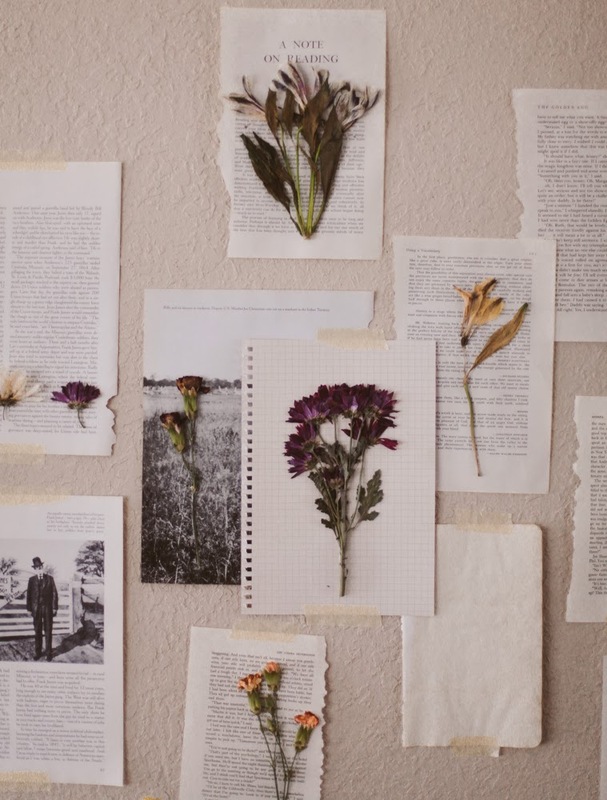 This is gorgeous, I love dried flowers! Oh my goodness this is such a beautiful idea!! Wonderful post. Its really very beautiful and nice photography. Thanks for your post. Beautiful idea! 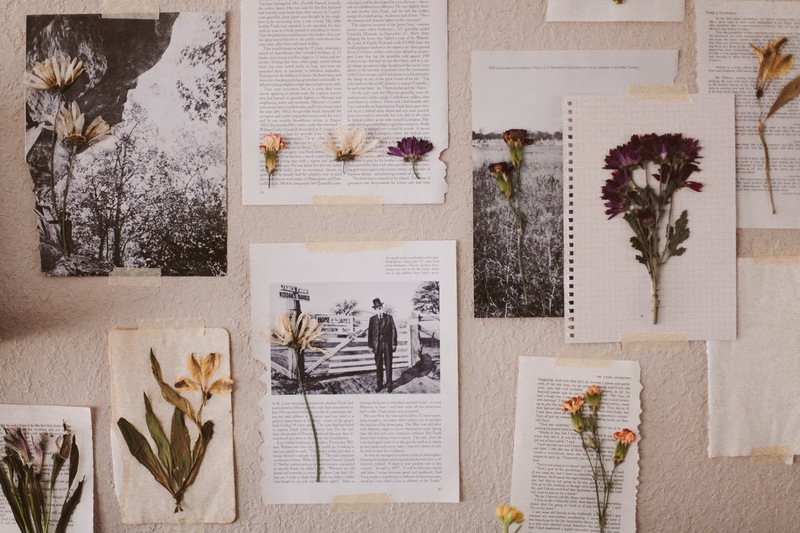 I love to decorate the odd little corners of my wall by pinning flowers to the wall with sewing pins! oo love this! it looks so beautiful! 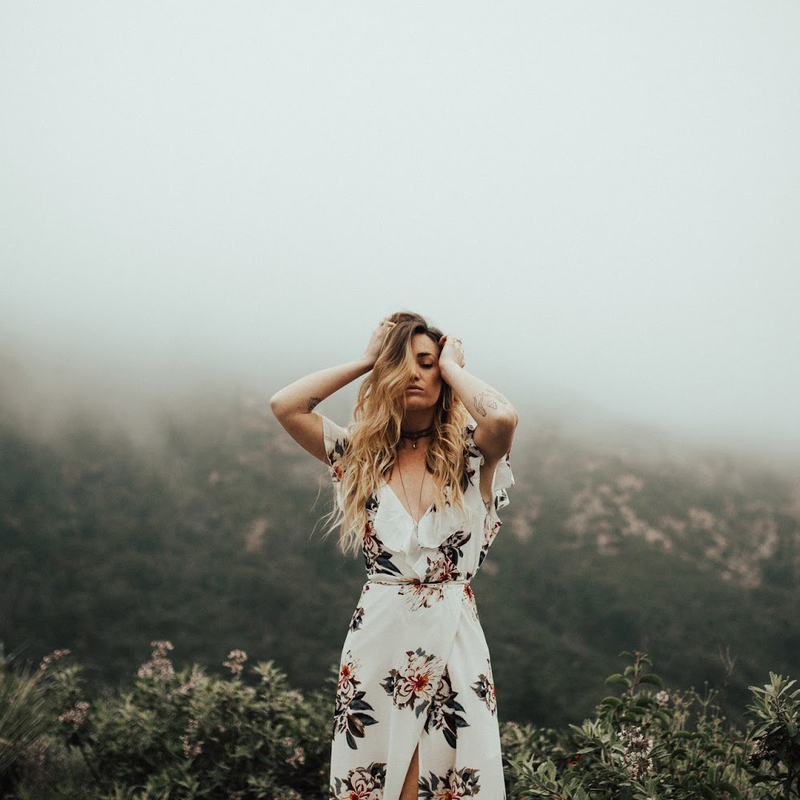 I love the naturalness of your concept! But the annoying OCD part of me wanted to flatten down the pages more!!!!! Sigh! 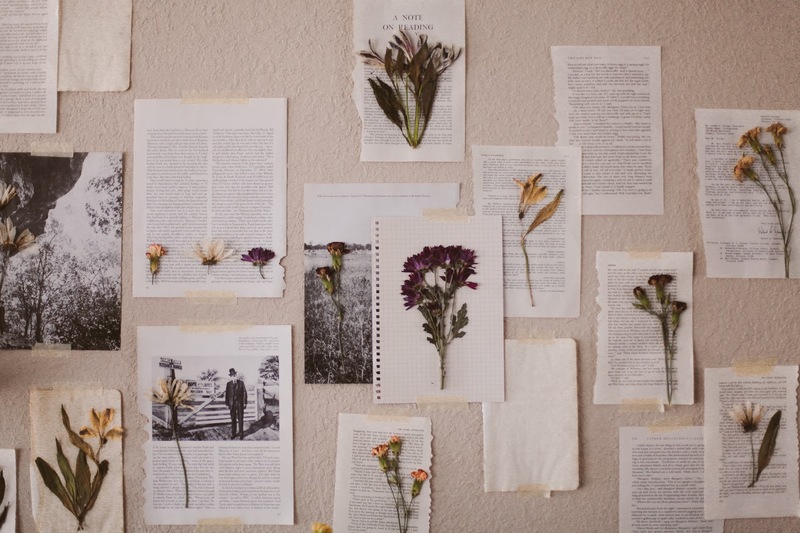 The way it is arranged across the wall appeals to me, like petals blowing in the wind. I want to adapt your concept to suit my style. Thankyou! Wonderful post. Its very nice and beautiful photography. Thanks for your nice post. Perfect! I may try this today as our earliest spring flowers have started blooming here in NC! 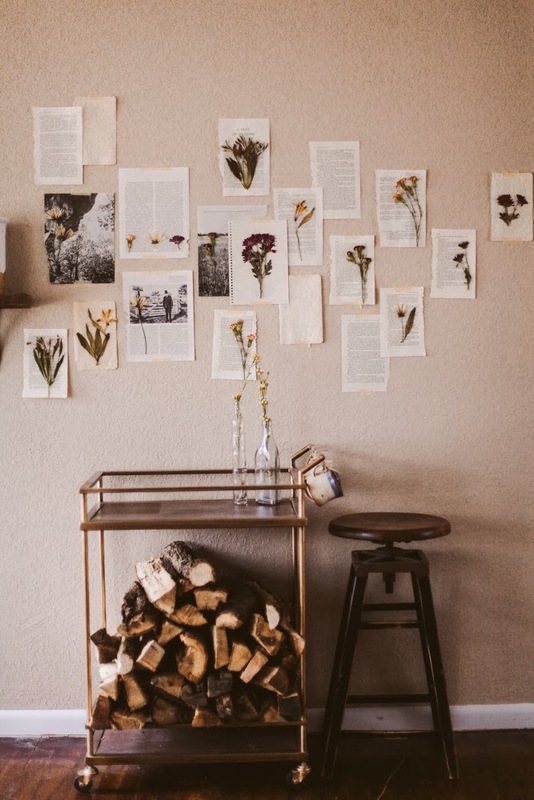 I have to ask - is the gorgeous wood in your photos part of your home - I love it!! wow, this looks so beautiful! definitely need to try this out! Definitely want to try that out, looks gorgeous! OMG! this is a simple tree wall art ideas but very stunning!